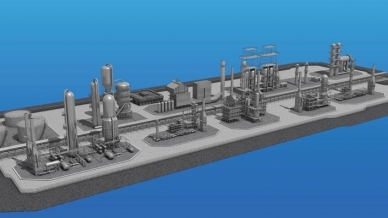 Petrochemical plants use steam crackers to convert ethane into more useful ethylene. This energy-intensive process calls for maintaining very high temperature measurement within a relatively narrow range. The conversion of ethylene is poor if the temperature is too low. On the other hand, at temperatures above the optimal range, soot and coke begin to deposit on the furnace tubes. Since coking acts as insulation, the heating unit has to increase its temperature to maintain the ethylene conversion process. This results in a counterproductive cycle where higher temperatures lead to additional deposits. Eventually, the tubes need to be cleaned – an expensive, time-consuming process. The coil outlet temperature (COT) of an ethane cracker has a direct relationship to the conversion efficiency of feedstock to ethylene, so the coil outlet is a key point for accurate temperature monitoring. Repeatability and reliability are equally important. Consistent temperature measurement across multiple COTs provides reliable data to maintain operations within the ideal temperature range for maximum ethylene conversion. 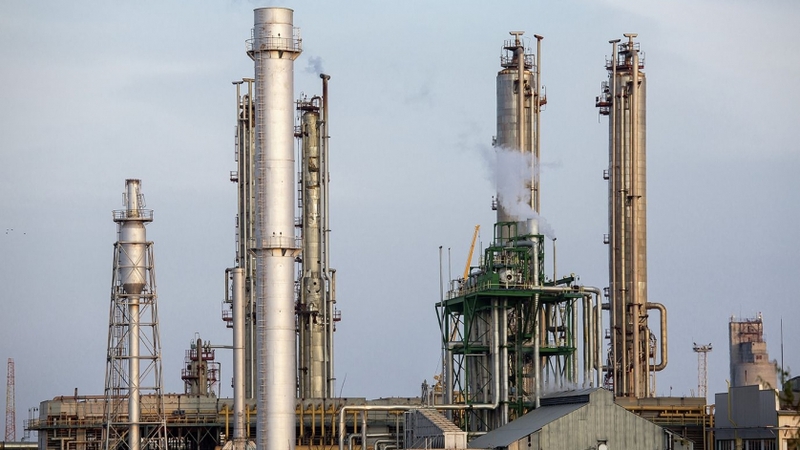 A petrochemical plant in Louisiana was using an older, poorly designed Type K thermocouple assembly that regularly suffered sensor failures and did not provide sufficiently accurate temperature data. As a result, the plant experienced occasional downtime in order to decoke furnace tubes. The engineers clearly needed a better temperature measurement system to improve three important factors: accuracy, repeatability, and reliability. This is a challenge. Temperatures inside a steam cracker can exceed 900°C (1,652°F), there are two heaters involved, and 96 separate coil outlets need to be monitored. The plant’s previous temperature monitoring installation consisted of a 5/16-inch tube welded to the coil and a 1/4-inch thermocouple inserted until it bottomed out. This design resulted in limited temperature monitoring accuracy and no consistency over the 96 measuring points. Tired of dealing with frequent failures and unreliable temperature readings, the plant’s management consulted with WIKA to improve operating efficiency. The WIKA V-PAD® tubeskin thermocouple was selected with a custom optimized heat shield to provide highly accurate temperature measurement of radiant tubes inside fired heaters. Although not specifically made for COT monitoring, the design allows for repeatability over 96 COTs and significantly improves accuracy due to the grounded junction of the V-block. To improve reliability, WIKA suggested a 3/8-inch Type N thermocouple, eliminating the (-) Alumel leg of a Type K thermocouple that is susceptible to grain growth failures at high temperatures. The petrochemical plant managers were extremely pleased when they saw that the new V-PAD assemblies were reading within ±15 degrees across all 96 coil outlets. This kind of consistent, accurate data means the cracker can operate continuously within the optimum range to maximize ethylene production. Overall reliability has also improved, although some sensors continue to fail due to elevated temperatures that exceeded the thermocouple’s limit of 1,250°C (2,282°F). Solving almost all three of the most import factors – accuracy, repeatability, and reliability – the plant’s ethylene steam crackers saw considerably improved conversion rates.